Flood waters caused by Tropical Storm Harvey encompass the Motiva Enterprises LLC in Port Arthur, Texas, U.S. August 31, 2017. Hurricane Harvey has caused widespread disruption to fuel supply in the United States. 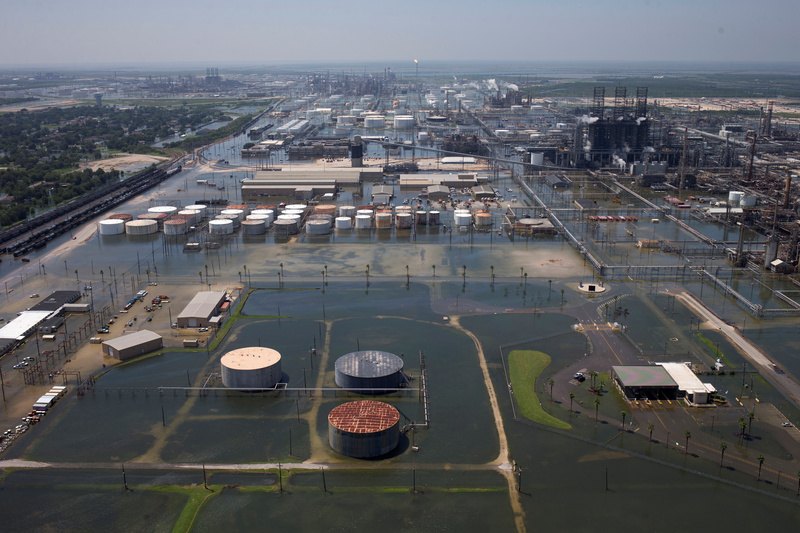 The weather front – which caused billions of dollars of damage and flooded large areas of Texas and Louisiana – has temporarily knocked out up to 4.4 million barrels per day of refining capacity in the region, Reuters reported on Aug. 31. Benchmark U.S. gasoline prices on Aug. 31 were more than 26 percent higher on the week due to the shortfall in output and the closure of the key Colonial supply pipeline. Shutdowns caused by the hurricane have also caused a backup of crude in the system and weighed on prices. The price of U.S. West Texas Intermediate oil was down just over 2 percent on the week at $46.81 per barrel at 09:14 GMT on Sept. 1.